Not Just For Phones And Tablets: What Other Devices Run Android? 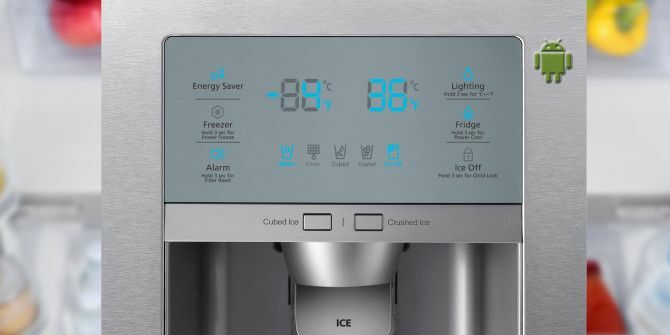 Your phone runs Android, your tablet runs Android… your refrigerator runs Android? The Linux-based, open source operating system that is Android has made itself a household name by competing against the iPhone and gaining a large chunk of the global mobile market. But Android’s open nature has led to another phenomenon: weird devices powered by it. We’ve previously covered 10 things you didn’t know were powered by Linux Linux Is Everywhere: 10 Things You Didn't Know Were Penguin-Powered Linux Is Everywhere: 10 Things You Didn't Know Were Penguin-Powered If you think the world rests on Windows, think again. Linux plays a crucial role in keeping our world going. Read More , but now it’s time for Android’s turn. Other than phones and tablets, what exactly does this mobile OS power? Okay, so the entire Xfinity Home Security system isn’t powered by Android, but it is controlled by a Comcast-branded Android Touch Screen Controller. Want to arm or disarm the alarm? It’s done through this device. It also has a limited app selection (no Google Play here) provided by Comcast with apps like Weather, Calculator, and other basics that you probably don’t need to be doing on this weird, clunky, stationery tablet-esque thing. The device essentially sits in one location, always plugged in and always on. In addition to the other speakers that are installed around your house as a part of the system, the large speaker grille along the bottom plays little chimes when doors open or close and is impressively loud. It’s pretty slow, running on the now-ancient Android 2.3 Gingerbread, but it gets the job done. The general user interface doesn’t look much like Android given Comcast’s custom skin, but its appearance still lingers in the shaded grey number pads and such. Yes, Samsung actually built a refrigerator called the RF4289HARS with an 8″ LCD display that runs Android. You can still purchase the $3,499 behemoth at some online retailers and even certain physical stores like Best Buy. You know, in case you want to tweet from your fridge. Smart appliances are growing in popularity, and this is probably only the beginning of a more connected world. An Internet of Things What Is The Internet Of Things & How Will It Affect Our Future [MakeUseOf Explains] What Is The Internet Of Things & How Will It Affect Our Future [MakeUseOf Explains] It seems like there are new buzzwords popping up and dying off with each day that passes us by, and "the Internet of Things" just happens to be one of the more recent ideas that... Read More , if you will. My fellow nerds, you probably know all about Android TV boxes, but for the majority of the population, learning that Android powers a mini computer that you can plug into your TV is kind of mind-blowing. We’ve examined what exactly Android TV boxes are Android TV Boxes: What Are They, And What Can They Do? Android TV Boxes: What Are They, And What Can They Do? Companies like Apple, Roku and Western Digital have already capitalized on this with their set-top boxes, but now a new wave of Android options has hit the market. Typically available for between $60 and $100,... Read More in the past, and even reviewed both the Rikomagic MK802 IV and the MK812A RK3188 Android Smart Mini PC Rikomagic MK802 IV and MK812A RK3188 Android Smart Mini PC Review and Giveaway Rikomagic MK802 IV and MK812A RK3188 Android Smart Mini PC Review and Giveaway A complete Android system for your TV - not a Chromecast, not an adapter for your phone – no additional hardware required. Android "TV sticks" are mini computers running Android. They have no screen, instead... Read More , but found that while they can be useful as a media center or Skype-dedicated device, they haven’t quite been primed for the mainstream yet. Android still functions like it’s on a small, personal touchscreen, not a large, more public TV. Still, more mainstream high-end options have been appearing. The Exoon Power Pro by Android TV runs Android 4.4 KitKat, has 2GB of RAM, a quad-core 1.8Ghz A9 processor, and 16GB of storage for $199. There’s also the SkyStreamX Android TV Box that runs on Android 4.2 Jelly Bean, has 1GB of RAM, a dual-core 1.5Ghz A9 processor, and 8GB of storage for $149. What if you took a TV box and squished it down into the size of a large USB drive? Enter the Android Mini PCs What Is An Android Stick Computer, And How Can You Use It? What Is An Android Stick Computer, And How Can You Use It? Miniaturization has been a computing trend for decades, but it seems to have accelerated over the past five years. Even Intel’s NUC (Next Unit of Computing), a hockey-puck sized PC, looks large compared to ARM... Read More . 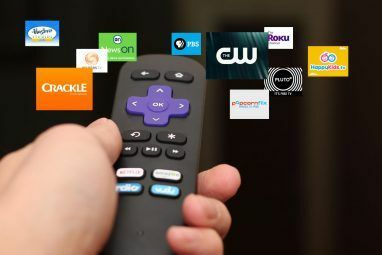 These little devices manage to pack the power of TV boxes down into a portion of the size, leading to some confusion as to what differentiates them from devices like the Chromecast Google Chromecast vs. Android TV Stick - Which Should You Buy? Google Chromecast vs. Android TV Stick - Which Should You Buy? What exactly is the difference between a Google Chromecast and a generic Android Mini PC stick? Read More . Essentially, while a Chromecast connects to your Android device for content and instructions, these Android Mini PCs run full Android and function as their own device. The largest problem with the Android Mini PC market is that it’s not taken seriously yet by the big hardware makers. You won’t find any Samsung, LG, Toshiba, or Sony products here. These are all made by no-name brands that have yet to establish a reputation with consumers, making them a very niche product. The most reputable option out there is a Kickstarter project from 2012 that successfully funded: Infinitec’s $70 Pocket TV. If shopping for one of these, though, you have a lot of options, ranging from the higher-end $63 CX-919 RK3188 to the mid-tier $43 MK808B RK3066. Catchy names, right? But hey, they’re cheap! Although essentially a variation on the Android TV box genre, the Lemon KTV is built entirely for Karaoke. We recently reviewed this machine Android Lemon KTV Karaoke Player Review and Giveaway Android Lemon KTV Karaoke Player Review and Giveaway The Lemon KTV Karaoke player (KHP-8836) is available direct from China for around $350 plus shipping or from Amazon for $349.99 with free shipping, complete with a selection of English and Chinese songs. Read More and found it to be a great way to get an authentic karaoke experience. This one was probably inevitable. Modern phones are already so close to being dedicated cameras; it was only a matter of time before someone slapped Android onto a camera. Nikon tried it with the Coolpix S800c, which retails for $350 but can be found on Amazon for $169. However, Samsung, not to be outdone in the competition to put Android on everything, has a couple Android-powered cameras. They started with the point-and-shoot Galaxy Camera but have since replaced it with the Galaxy Camera 2 that retails for about $450. They also have the Galaxy NX, a $1,299 DSLR powered by Android. Say hello to the Parrot Asteroid. Yes, the name is a breed of bird and an astronomical object. No, I can’t explain that. This 6.2″ touchscreen device can be installed in cars thanks to its 2-DIN standard size. 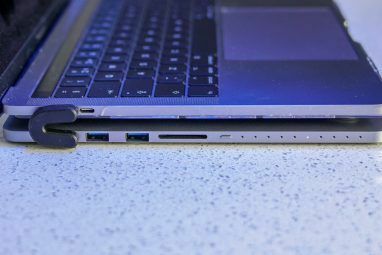 It has a full range of ports for your speakers, USB ports for storage and phone connections, a 3.5mm headphone jack for audio in, and SD card storage. Strangely, it doesn’t have integrated 3G or 4G, so you’ll have to buy a USB-capable data stick from a wireless provider or use your phone as a WiFi hotspot to use any of the wireless capabilities. The regular embedded version sells for $599 but can be found for $512 on Amazon, and Parrot Asteroid also sells smaller $399 and $299 models. Although essentially an Android set-top box, Amazon’s Fire TV gets its own section because they’ve forked Android to the point of it being unrecognizable. Fire TV runs FireOS 3.0 Mojito, Amazon’s heavily altered version of Android 4.2.2 Jelly Bean. It has access to the Amazon App Store, and is equal parts game console and media center thanks to the $39 game controller. Oh, and the Fire TV only costs $99. Ah, the infamous Ouya. This open source gaming console began as a Kickstarter project and has since seen a market of Android game consoles Are Home Android Game Consoles Worth Buying? Are Home Android Game Consoles Worth Buying? 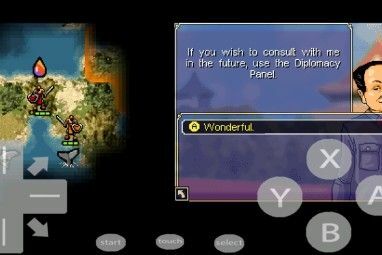 Several Android game consoles were announced as a revolutionary alternative. 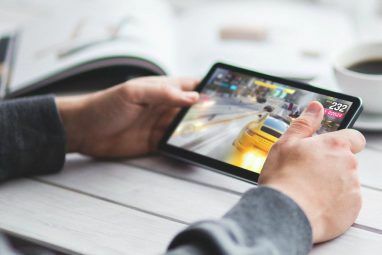 No longer would platforms be closed and heavily guarded – instead, developers could upload their games with minimal fuss! Or, at least, that was the... Read More spring up around it. The device runs Android 4.1 Jelly Bean, has 1GB of RAM, an Nvidia Tegra 3 system-on-a-chip, and 8GB of storage. All the games have some kind of free-to-play functionality, and there are currently 810 games available. The console can even be rooted without voiding the warranty, as the creators want people to tinker with it. Each Ouya is also a dev kit, allowing people to develop games for Ouya without a license or SDK. While similar to the Fire TV and other Android set-top boxes, the Ouya distinguishes itself with a unique interface centered around gaming, although it also supports media apps like XBMC. Check out our full review of the Ouya OUYA Review And Giveaway OUYA Review And Giveaway When the OUYA was first announced and funded on Kickstarter, the Internet was positively buzzing over the possibilities for this tiny Android-based console. Kickstarter backers began receiving their consoles months ago, and early reports were... Read More to learn more. This is a market that is just on the brink of a flood. Starting with the original Galaxy Gear — which has since been updated to Tizen and no longer runs Android — smartwatches are gaining steam along with the whole wearables shift in technology. This summer, LG and Motorola are both expected to launch smartwatches based on Android Wear Google Android Wear, Moto 360 & LG G Watch, PS4 Virtual Reality [Tech News Digest] Google Android Wear, Moto 360 & LG G Watch, PS4 Virtual Reality [Tech News Digest] Android Wear for wearables, Moto 360 and LG G Watch, the NSA is MYSTIC, Xbox One expansion plan, PlayStation 4 virtual reality headsets, LINE Call for international chats, and the 'Unnumbered Sparks' art installation. Read More , Google’s version of Android built specifically for wearables. With an operating system designed for smartwatches and major hardware manufacturers stepping into the game, you can expect a lot more smartwatches based on Android to come. There are a lot more devices out there running Android, and this is by no means meant to be an exhaustive list. Any other interesting devices out there running Android that you know of? Let us know in the comments. Explore more about: Mobile Gaming, Television.